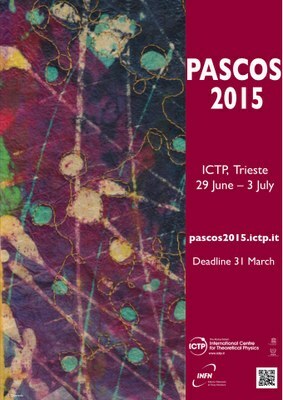 The International Center for Theoretical Physics is proud to host PASCOS 2015, the 21st International Symposium on Particle, Strings and Cosmology. The meeting will take place at the ICTP in Trieste, 29 June - 3 July 2015. The aim of the symposium is to review the recent progress in particle physics, string theory and cosmology, with particular emphasis on their interrelation. While the conference is mainly aimed at theorists, there will be a strong experimental component, with discussion of new results and future experiments.